If you love the look and feel of traditional tiles, but aren’t sure they’re compatible with an accessible shower, our subway tile collection is for you. Combining the elegant appearance of classic subway tiles with the low-maintenance SnapJoint system, this exciting range is the perfect way to elevate your bathroom and give the whole space a fresh, modern feel. 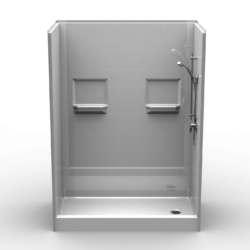 Using our innovative SnapJoint assembly system, our subway tile showers are as straightforward to install as the rest of our safe bathing collection. The SnapJoint system not only simplifies the installation process, it ensures watertight corners once you start using your shower, too. 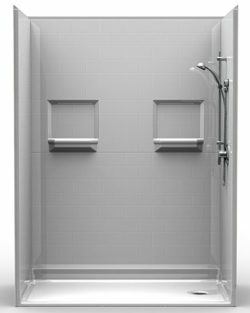 Irritating leaks are a thing of the past, thanks to the clever construction of our hard-wearing accessible showers. 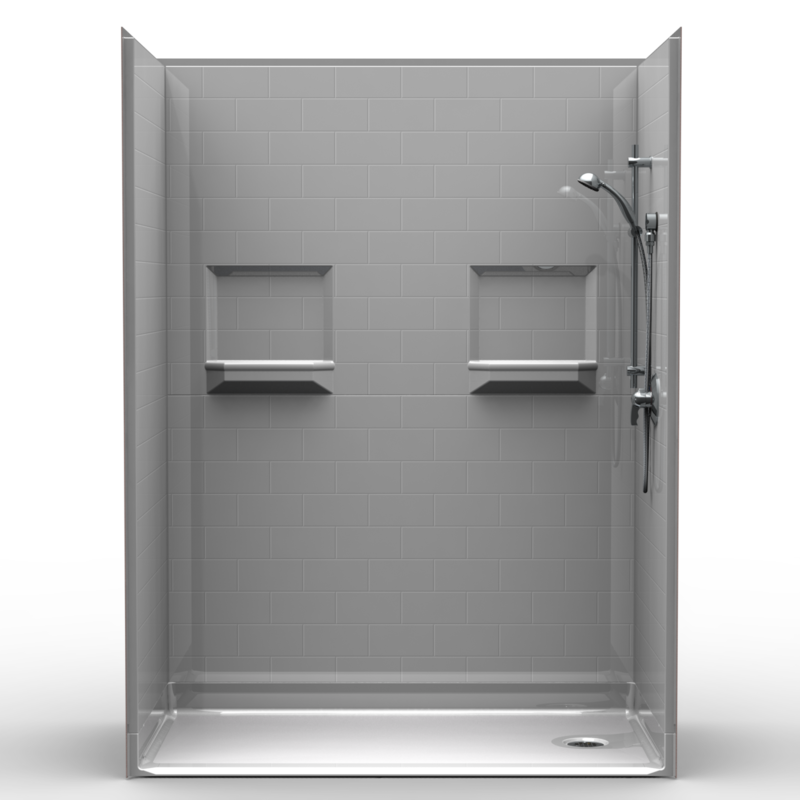 As with all of our walk-in and roll-in showers, our subway range is tough, durable and easy to keep clean. 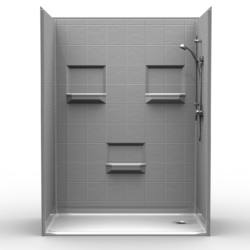 You can enjoy the easy installation and low-maintenance of a composite shower with the timeless beauty of ceramic tiles. If you love the subway tile shower but want to add a personal touch, our ingenious recessed shower walls are designed with you in mind. Featuring special sections for you to finish with your own tiles, our designer showers let you personalize your roll-in or walk-in shower to complement the rest of your bathroom décor. Choose glass or ceramic tiles in any color or pattern you like for a finish that’s completely unique to you and your home. As always, we’re more than happy to answer any questions you might have. 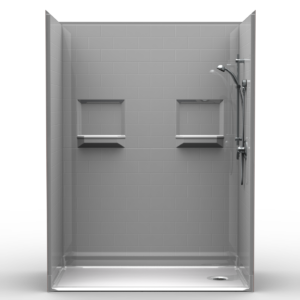 Please don’t hesitate to give us a call if you’d like any more information on our subway tile accessible showers or any of our other safe bathing products!